One of the worst experiences as a homeowner is finding out that you have termites. Having termites is an expensive, and vastly inconvenient process. 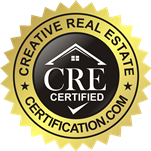 Not only do you have to shell out thousands of dollars, but you also have to temporarily move out of your home while the damage is being repaired (depending on the severity). Controlling termites is actually a 2 part process: preventing them from getting into your home, and treating existing termite colonies. Below are some methods you can use to prevent termites from ruining your home. The first is to make sure that you are getting regular (usually annual) termite inspections from a qualified, termite professional expert. You must work with pest control professionals in order to address the conditions around your home which might include any excess moisture, and wood to ground contact (which is extremely conducive to termite activity). Be sure to seal any and all gaps around gas and water lines where they enter your house (in order to help get rid of any possible termite entry points). A common access point for termites is wood to ground contact. If possible, be sure to reduce this wood to ground contact. 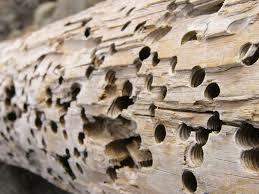 You can also treat wood with what is called “termiticide” which will make the wood unattractive to future termites. Make sure to throw out any extra cellulose materials that are around your house, like those that are in crawlspaces. You must consider replacing landscape mulch with cellulose free alternatives, as cellulose is a known breeding ground for termites. If you cannot replace the mulch, at least move it back SIX inches from your foundation. 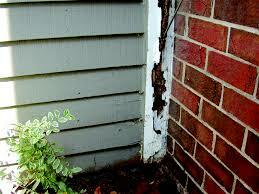 It is very important to make sure that your wooden siding on the house is at least SIX inches above ground. It is very important to make sure that water does not form a pool around the foundation of your home, OR on your roof. Termites love water pools. Be sure to address any and all moisture issues in the basement. Be sure to fix any leaking plumbing fixtures, broken gutters, and AC condensation lines that may be dripping from the machine. You must be sure that the lumber is inspected. Especially any used lumber or railroad ties. These should be inspected BEFORE using it in home or yard projects. Have your termite professional recommend any other prevention techniques around the home. These could include monitoring stations, wood treatment, or liquid treatment. Some of these methods are intrusive; the least intrusive option is usually a monitoring statement, since it shows warning signs of any termite activity. Realize, though, that they do not protect the house from any infestations, they only alert you as to whether or not there is termite activity. Drywood termites love to enter a house through small cracks in the exterior wood. This is why it is crucial to be sure all cracks, joints, and crevices are perfectly sealed so that the termites have no way to gain access to the home. Some ways of doing this are applying a new coat of paint which will instantly seal even the smallest cracks or holes in the wood, and you can also install bug screens over foundation and attic vents. Remove ALL dead trees, and any old firewood laying around the house. Drywood termites love these things. Wooden shingles are known for creating simple access for these types of termites. 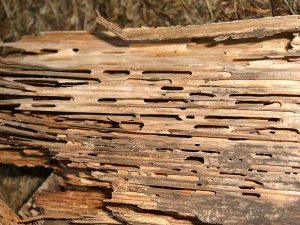 Therefore, be sure to watch for signs of termites near wood singles. There is nothing worse than termites. My wife and I had to move out of our house for two weeks. The entire home was infested. We live in an area where termites aren’t that prevalent, so ignorantly, we never got a termite inspection for two years. Well that sounds stupid. I mean I get that you don’t live in an area where termites are generally an issue, but who doesn’t get an annual termite inspection?